SEGA's standard bearer and long time mascot is turning 20 years old this year- and to celebrate this most auspicious of occasions, the blue blur will be having all manner of events! SEGA® Corporation is proud to announce their company mascot will celebrate his 20th anniversary on June 23, 2011. 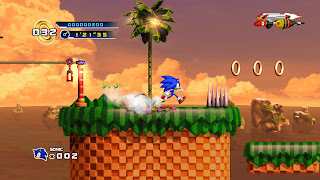 From the first day of the release of Sonic The Hedgehog™ back in 1991 on the SEGA Mega Drive console (Genesis for North America), Sonic the Hedgehog quickly became a popular gaming icon due to his super fast speed and his cool, edgy character. In the twenty years that the video games have been available, Sonic the Hedgehog has notched up over 70 million units sold worldwide. As well as videogames, SEGA’s iconic blue hedgehog has enjoyed huge success in areas such as comics, apparel and toys and even starred in his own animated series. SEGA Corporation will be celebrating this special year in style with events around the world, details of which will be released throughout the 20th anniversary year of 2011.